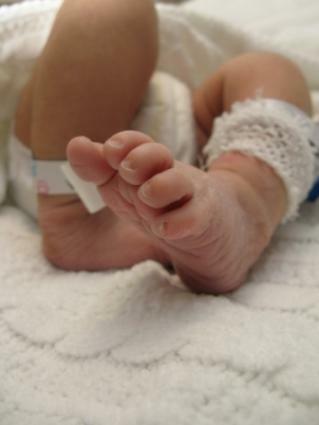 Many people may find themselves confused about the connection between Lamisil and birth defects. Pregnant women who have taken the antifungal medication may have concerns about possible problems with their developing babies. While the oral form of the medication is not recommended for pregnant women, no studies have found birth defects caused by Lamisil. Lamisil is an antifungal medication that comes in a topical and a pill form. The active ingredient in the product is terbinafine, an agent used to treat toenails and fingernails with fungal infections. Medline Plus describes oral Lamisil as a product prescribed by a doctor that patients typically take for about 12 weeks for toenail infections and about 6 weeks for infections in the fingernails. Topical Lamisil may be used to treat a number of fungal infections, including jock itch. Jock itch is a fungal infection in the groin area that some men experience. Like yeast infection, the problem occurs when conditions allow naturally occurring fungus to grow out of control. In many cases, the itchy condition goes away with self-care but, sometimes, an antifungal oral or topical medication like Lamisil may be prescribed. Some women may be concerned about getting pregnant while their male partner is using the topical treatment. No studies suggest that the antifungal affects conception and no studies suggest that Lamisil and birth defects are connected. The Merck Manual Online Medical Library states that no adverse effects were seen in animal studies. However, no sufficient studies in pregnant women have been conducted and taking the oral medication during pregnancy is not recommended. In addition, the site notes that minimal traces of the topical form of the medication can pass into breast milk. Patients should tell their doctor if they are pregnant or if they are trying to conceive. Since the medication passes into breast milk, women who are nursing should not take the oral medication. Lamisil is a Pregnancy Category B medication that, according to the Food and Drug Administration, is a drug that shows no evidence of impairment in animal studies, but this does not mean that it is necessarily safe for pregnant women. Animal studies do not always predict how humans will respond to the medication. The FDA suggests that treatments using the antifungal medication should not be introduced during pregnancy.If no connection between Lamisil and birth defects has been made, why are so many people concerned about the medication? The concern may arise from another medication with a very similar name. Concerns about Lamisil and birth defects may stem from confusion with Lamictal, a drug used to treat bipolar disorder and epilepsy. A 2006 FDA alert warns that there is a possible connection between Lamictal and cleft palate and cleft lip. The common birth defect may be more frequent in women who take Lamictal during the first trimester of pregnancy. No conclusive evidence support the FDA's suspicion of the possible connection between Lamictal and birth defects. The FDA alert notes that reports of oral clefts reported by patients "were few and were not part of a syndrome that included other birth defects." The preliminary report requires more data in order to determine if there is a connection. Women who plan to become pregnant should talk to their doctors about the possible dangers of taking Lamictal, especially during the first trimester. While no connection between birth defects and Lamisil are definite, pregnant women should not take any medication, including herbal supplements or over-the-counter topical treatments, before discussing the treatment with their doctors. Many products are still under investigation and there is no reason to take unnecessary risks during pregnancy.